Rum spice, smoke, rich orange and currant. Smoky, dry wood, caramelized dark fruit, oily espresso, roasted cashew. Quite long, with rolling tobacco and custard on the tail. English Harbour 25 Year Old 1981 is adored for its smoky, dark fruit, dry and tobacco flavor notes. This Rum is carefully distilled at English Harbour distillery, Antigua and Barbuda. 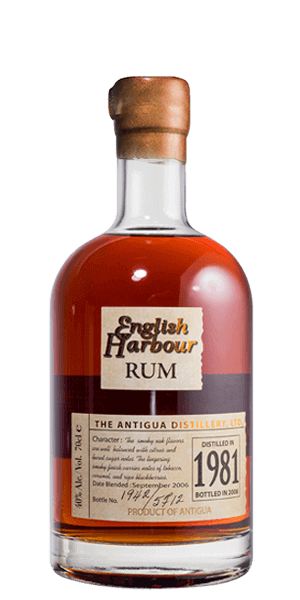 Based on 8 votes, the average rating for English Harbour 25 Year Old 1981 is 9.5/10.